The numbers are gleaned from various sources and, in many cases, are simply educated guesses by missiologists. Estimates of the number of Christians today vary widely among experts. We've used the figures of Tony Lambert of OMF (international), which seem to occupy a middle ground. 4.3 percent or 1 in 23. 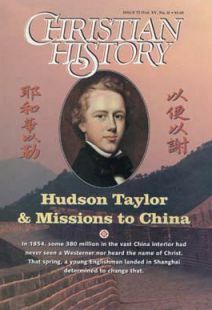 Source of Statistics: Kenneth Scott Latourette, A History of Christian Missions in China (1929); Tony Lambert, OMF (INTERNATIONAL); statistics of the People’s Republic of China.